Some Florida couples deal with mental incapacity issues as they overlap with divorce, and there are laws here in Florida addressing the issue. However, while Florida does allow for divorce in the event that one spouse suffers from a mental incapacity, there are particular waiting periods built into the law in order to protect infirm spouses who, in some instances, cannot defend themselves. Specifically, once determined to be officially incapacitated, an individual needs to have been incapacitated for at least three years prior to commencing dissolution proceedings. Yet while the law has been put in place in large part to help protect those with severe injuries and conditions such as brain trauma and dementia, there are also individuals who have found themselves the victim of this particular law. 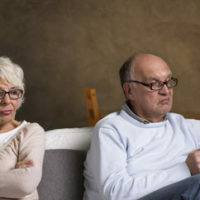 While some divorce-mental incapacity cases involve one spouse attempting to take advantage of the other, who has been deemed to be mentally incapable, there are also couples who wish to obtain a divorce, but find themselves waiting for three years or more to obtain it due to some of the loopholes in the law. In fact, once deemed mentally incapable, it can actually be challenging for an individual to obtain their civil rights such that they can proceed to obtain a divorce. In cases where an individual has been deemed to be incompetent, a court-appointed guardianship is sometimes established. In fact anyone can petition the court to remove an individual’s freedom to determine their own destiny. 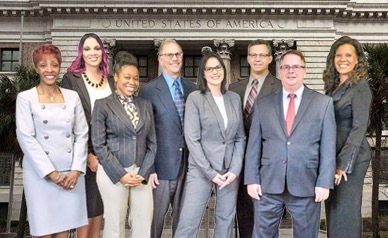 These individuals are sometimes appointed guardians by the court to act on their behalf in legal proceedings, and have historically been relied upon in cases involving severe brain injuries and/or dementia. However, there are cases where even though this type of guardianship begins with consent, it continues against an individual’s will. Specifically, there are cases in which someone’s basic civil rights are actively being ignored, for example, in the instance where a completely capable individual has been deemed to be a “ward” in need of a guardianship to help manage their finances and life choices. While the law in Florida is in place, in part, to protect those suffering from actual mental incapacities from being taken advantage of by a spouse seeking an unfair advantage in divorce, it is also important to note that rarely will experienced divorce attorneys recommend that clients actually actively arrange for a professional guardian to manage their property. Be careful about filing a petition for voluntary guardianship without working with an experienced attorney who has your best interests in mind. If you are dealing with divorce, mental incapacity, and/or related issues, working with a caring, professional family attorney is essential. At HD Law Partners, our parenting plan lawyers have over 40 years’ combined experience in helping clients navigate Florida’s complex divorce laws. We put our knowledge, experience, and abilities to use in helping you achieve the desired results in your case. Contact us today for a free consultation.